Google Play Services not supported by device: Fixed [Android] – Android is one of the most used operating system in the smartphone world. It is no doubt that it is way ahead in the competition with other OS like Windows Phone, Blackberry or iOS. People prefer to use android due to it’s customization, versatility and flexibility. But, as we know as a old saying, “Nothing is this world is perfect”. So, it goes same with the android too. There are some flaws in android which comes out in the form of Google Play errors. One of such error is “Google Play Services not supported by device“. There are many people complaining about this error in the android forums and finding a solution to fix it. So, if you are one of them too, then I can help you out of it. I am gonna share some methods in this blog which could help you to fix Google Play Services not supported by device error in your android smartphone. You are using an outdated version of Google Play Services app. You may be using an older version of android which may not be compatible with the app you are trying to run. It may be caused due to synchronization failure in android smartphone. It may be caused due to hardware problem from the manufacturer side. Now, let’s begin with the solutions to fix Google Play Services not supported by device error in your android smartphone. 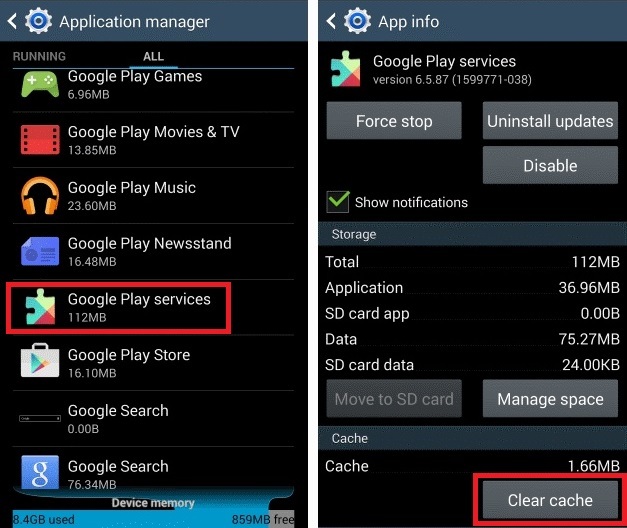 Here are possible four solutions to fix Google Play Services not supported by device error on your android smartphone. This is the basic solution to fix any Google Play error. To do so, follow the below steps. Search for Google Play Services/Google Play Store in the apps list. Now, click on Clear Cache and Clear data button. Now, again go to Settings>>Apps. Search for Google Play Framework in the apps list. Click on Clear Cache and Clear data button. If this also does not solve, then again go to Settings>>Apps. Now, search for the app in which you are having problem with this error. That’s it You’re done. If this method did not solve your problem, then follow the below Solution. As I have mentioned Google Play Services not supported by device error may also be caused due to outdated version of Google Play services and android. So, just try to update it into its latest version. Now, click on Uninstall button or Uninstall updates button. 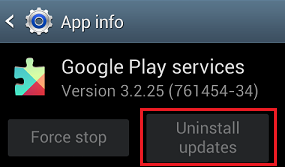 Once it is done, open Google Play several times until its updates itself to it’s new version automatically. If this also did not help, then try to update your android version too. Turn on your internet connection and wait for the download procedure to complete. That’s it. You’re done. If this method also does not help then follow the below method. This is the extreme solution to fix any Google Play error. 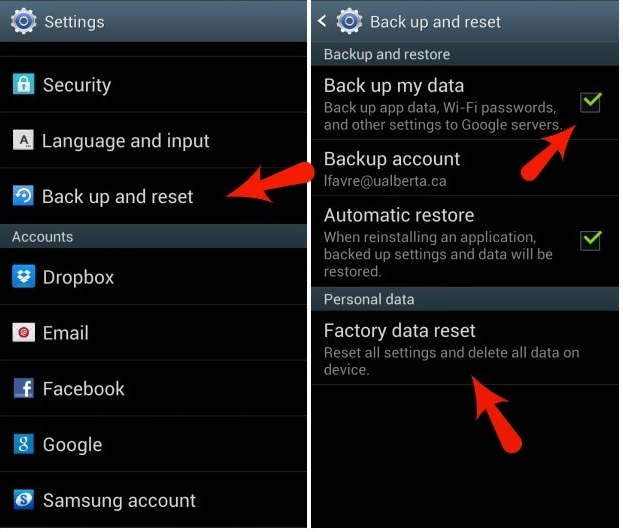 Many a times, factory resetting your android phone solves major Google Play errors. But, do remember that doing it would format all you data, settings and app from your phone. So, be sure before doing it. If any one of the above method does not fix Google Play Services not supported by device in your android phone, then it’s time to contact your phone manufacturer. Sometimes, this error may be caused due to hardware issues. So, your phone manufacturer may help you out of it. DISCLAIMER NOTE: Do follow the above Solution 2 and Solution 3 at your own risk. The admin, author or owner of this website is not liable for any losses due these solutions. It is just the possible successful solutions followed by other users in the past which is being shared on this website. Thank you for your cooperation. Next articleFix play store error 489 when downloading or updating apps.